Chronicling all the nights HE came home! While slasher horror movies have their roots in movies like Psycho (1960) and The Texas Chain Saw Massacre (1974), the genre exploded in popularity after the release of 1978's Halloween, directed and co-written by iconic filmmaker John Carpenter, who also wrote the chilling musical score. The Halloween movies feature masked killer Michael Myers, who as a young boy, murdered his teenage sister on Halloween. As an adult, Myers escapes from the sanitarium and returns to his Haddonfield, Illinois hometown to murder more teenagers. His main target throughout most of the series is Laurie Strode (played by Jamie Lee Curtis in the original movie), though later films in the series featured more targets, established a connection between Laurie and Myers, and also gave Myers supernatural origins. Like most horror franchises, Halloween has continued in a number of films (of varying quality) over its 40 year existence. With Carpenter set to return the series in 2018, cinema fans should familiarize themselves with the history of Michael Myers on film. On a very small budget, John Carpenter (along with co-writer Debra Hill) released Halloween in October 1978 — the film that introduced Michael Myers to movie audiences. In addition to Curtis, the film also stars Donald Pleasence as Dr. Loomis. Halloween was quickly recognized as one of the best horror films ever made and was a massive box office success, paving the way for hundreds of similar slasher films and launching a successful movie franchise. Carpenter and Hill returned to Haddonfield by writing a sequel to Halloween, which was directed by Rick Rosenthal. The sequel takes place immediately after the original movie and includes Curtis and Pleasence reprising their roles. Myers kills his way through the hospital where Laurie is recovering in order to get to her... which builds to a shocking revelation about why Myers is after her. While still a box office success, Halloween II was much less successful than the first film. Carpenter felt that Myers' story was concluded, and decided to take the series to a different direction. Halloween III: Season of the Witch was produced by Hill and Carpenter and was written and directed by Tommy Lee Wallace. The movie is about a collection of Halloween masks that do terrible things to the children who wear them. 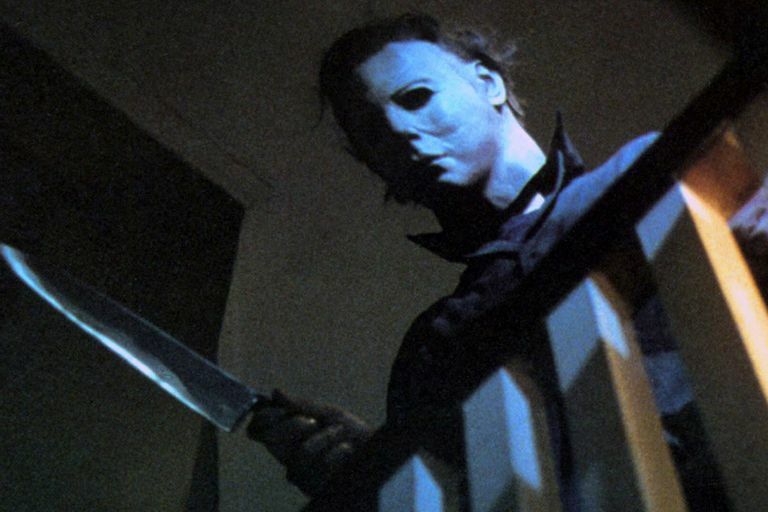 Surprisingly, one element notably missing from the movie is Michael Myers' character; Carpenter felt that the Halloween series could continue as an annual anthology of otherwise unrelated scary films. In fact, one of the characters in this movie sees a trailer for the original Halloween on television. Carpenter's vision for the series didn't pan out when Halloween III didn't perform as well as the earlier films at the box office. Plans for future films in the series were put on hold. With the increasing popularity of other slasher film series like Friday the 13th and A Nightmare on Elm Street, the Halloween series went back to its original premise in Halloween 4: The Return of Michael Myers. As the title says, Halloween 4 features the return of the series' signature killer, who awakes from a ten-year coma to find out Laurie has died... but she had a young daughter named Jamie (Danielle Harris) who becomes Myers' new target. Pleasence returned for the sequel as Dr. Loomis. Neither Carpenter nor Hill were involved with this sequel, having sold their rights to the series when Carpenter's ideas for the Halloween 4 script (written with Dennis Etchison) were rejected by producer Moustapha Akkad. Despite the return of Myers, Halloween 4 was only slightly more successful at the box office than the Myers-less Halloween III. Nonetheless, it did well enough for Akkad to continue the series. Taking place one year after Halloween 4, Halloween 5: The Revenge of Michael Myers again features Myers chasing Jamie, who has been left nearly catatonic after her experiences in the last film. In order to be released just one year after Halloween 4, this sequel went into production without a finished script. It was the least popular film in the series with critics and at the box office up until that point. Because of that, the series again was put on hold. Six years later, Halloween: The Curse of Michael Myers was released. The film features Jamie (J.C. Brandy) giving birth and then being pursued by both Myers and a mysterious cult. The movie features future star Paul Rudd in one of his earliest roles and explores the supernatural origins behind Myers' seeming immortality. Halloween: The Curse of Michael Myers was only slightly more successful than Halloween 5 at the box office. An extended version with an alternate ending called the Producer's Cut began circulating among fans of the series. This cut was officially released in 2015. Jamie Lee Curtis returned to the series in Halloween H20, which ignored the events of Halloween 4 through 6. In Halloween H20, Myers has not been seen for twenty years since the original murders. Laurie has managed to start a new life despite still experiencing trauma from her memories. Myers finds out where Laurie has been and goes after her again. The movie also features Joseph Gordon-Levitt, Michelle Williams, Josh Hartnett, and LL Cool J in supporting roles. Halloween H20 was much more successful at the box office than the previous Halloween sequels. Picking up from the events of Halloween H20, Halloween: Resurrection begins with Myers again chasing Laurie. 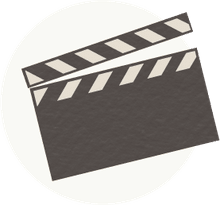 However, much of the film is focused on a group of college students filming a reality show in Myers' childhood house, all of whom become his new targets. The cast includes Bianca Kajlich, Busta Rhymes, Sean Patrick Thomas, and Tyra Banks. Halloween: Resurrection was not as successful as Halloween H20, and plans for a sequel were abandoned. Like Halloween: The Curse of Michael Myers, an alternate cut of Halloween: Resurrection exists though it hasn't been officially released. Instead of a sequel, the Halloween series was rebooted in 2007 by musician-turned-filmmaker Rob Zombie. In this film, Scout Taylor-Compton stars as Laurie Strode. The new version follows the original movie's storyline closely, but includes more focus on Myers' backstory. Malcolm McDowell appears as Dr. Loomis, and Myers is portrayed by Tyler Mane. Though the remake did not receive the level of praise that the original Halloween earned, it was more successful at the box office than most of the previous movies. Two years later, Zombie again returned to the series with a direct sequel to his Halloween remake. Despite the title, Halloween II takes very little from 1981's Halloween II. It focused much more on the relationship between Myers and Laurie. It is also arguably the goriest of the Halloween series. Halloween II was less successful than Zombie's first film, and a proposed third film in his series never went into production. After several false starts, another Halloween sequel is set to be released in 2018 with John Carpenter returning to the series as a producer for the first time since Halloween III. He is consulting with screenwriters David Gordon Green and Danny McBride, with Green also directing. Curtis is also returning to reprise her role as Laurie Strode. Like Halloween H20, this sequel will be a direct continuation of the original Halloween and Halloween II, ignoring the non-Carpenter/Hill films.